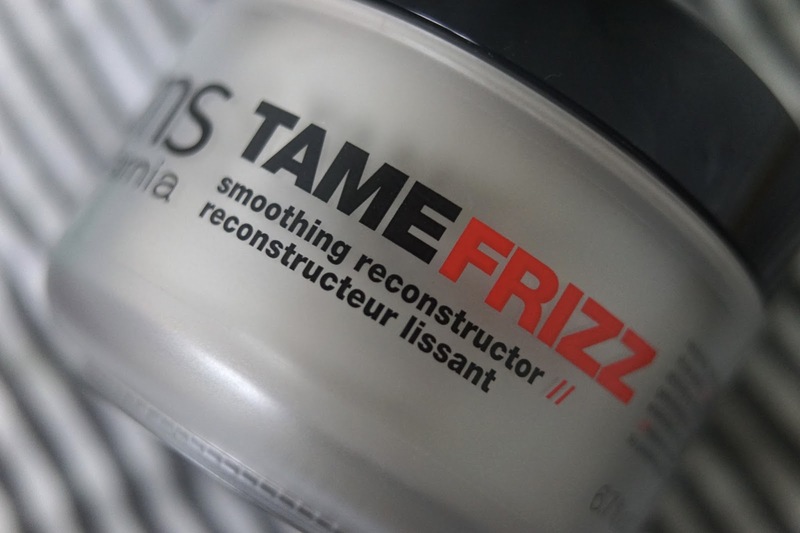 For me, half the battle is taming the frizz. 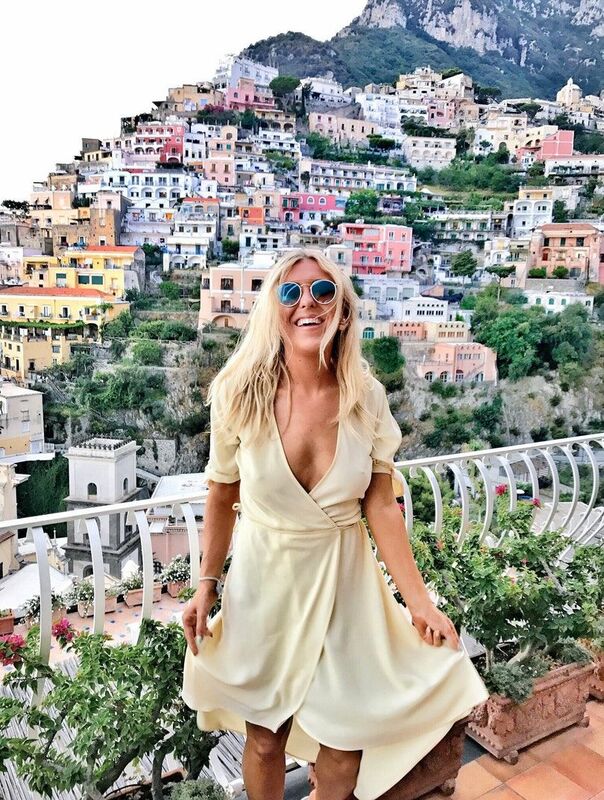 One thing I've really learnt about blow dries is that using the right products and actually setting your hair in place with heat is the way to get a two and even three day blow-dry, you guys might remember me telling you all about the best hair dryer ever, which I still use when blow drying so make sure you have a good hair dryer to hand too. These products simply compliment that tool perfectly. I'm still really focusing on my hair health so I try to only blow dry my hair/use heat on my hair once a week or twice a week absolute maximum, I find this means it grows quicker and doesn't snap off as quickly or break, because of this, I always try to make sure my blow dry is perfect, that way, I don't need to continue to use heat on it every day and every day it tends to fall better and just look better as the week goes on weirdly. I actually find that if I leave my hair to dry naturally, it just does not stay straight and I end up straightening it every day, but, if I set my hair in place with a good blow dry, it stays smooth for days. You can read my hair growth tips and tricks if you are interested and missed that. 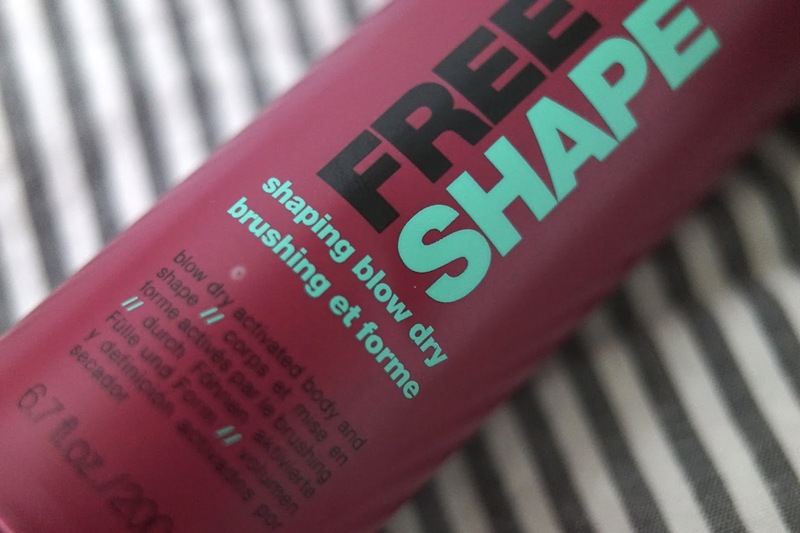 First up is the KMS California FREESHAPE Shaping Blow Dry Spray - This is definitely a blow dry staple product, not only does it protect against heat damage (huge thumbs up from me), it also helps give the right amount of body and movement. It aims to give the hair body, light texture and shape that actually lasts for up to 3 days (trust me, it does last). I spray this onto towel dried hair and then get blow drying downwards with my trusty ghd paddle brush (I feel like I need to film this at some point to show you!). 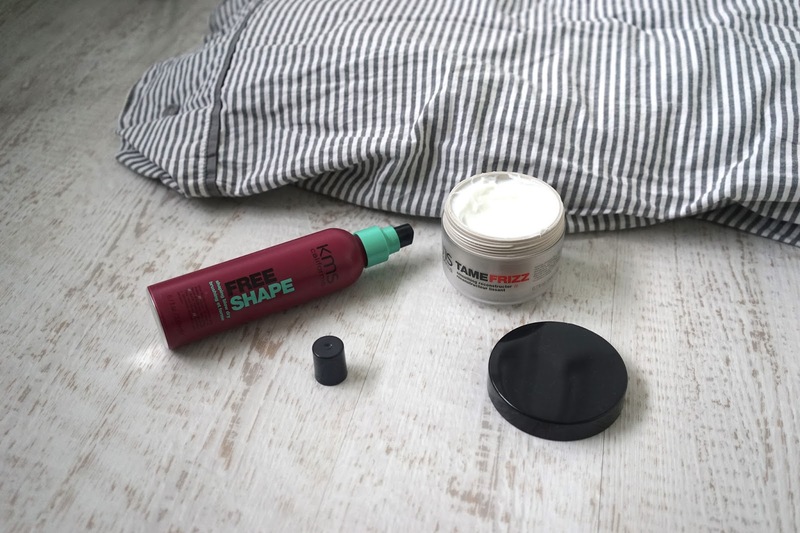 Get body, light texture, and shape that lasts: style retention and frizz control for up to 3 days! This product features thermoshaping polymers meaning that it allows flexible shaping during the blow dry so actually, you work with the heat to create a full, natural look which as I mentioned, sets in place and lasts. Online here. 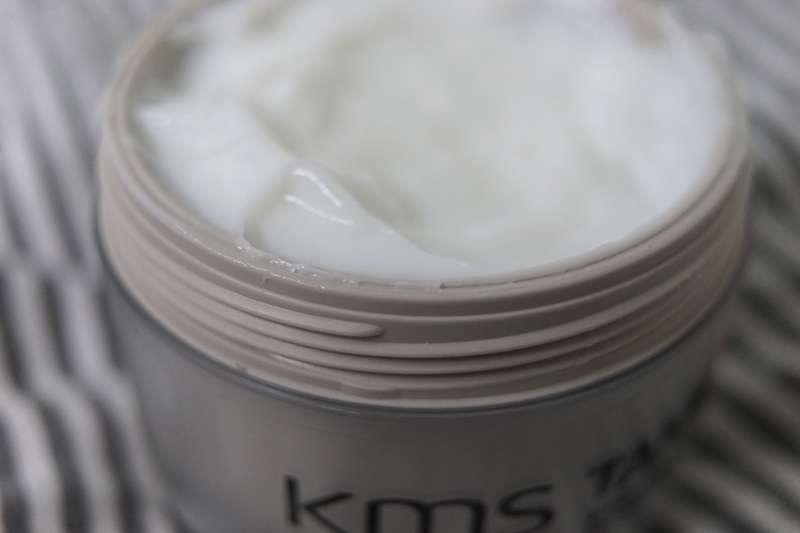 Then, the KMS California TAMEFRIZZ Smoothing Reconstructor - This is my kind of product as it's not only a style primer but also a hair strengthener. I love that this range not only styles but it protects too! So many ranges out there purely style and people forget to protect their hair. I've had a terrible hair journey when it comes to getting my hair back to full strength so I'm really all about the protection. This is a fab little multi-tasking product, just like a make up primer, it completely primes and preps the hair for styling. It's definitely a must-use on towel dried hair to get a better blow dry. They always say, if the soil is prepped then the flowers will grow perfectly, this is the same with the scalp; prep the hair and then it'll look better! This is a deep treatment which nourishes and smoothes the hair (after just one use). 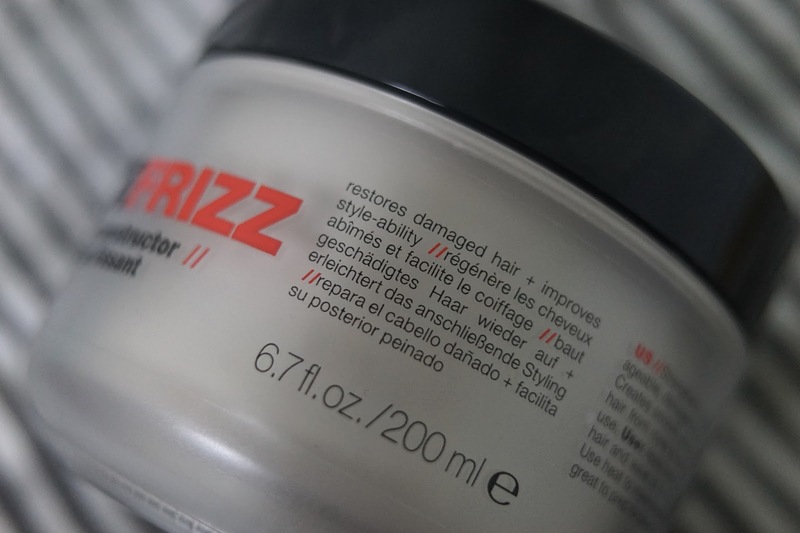 It contains concentrated conditioning agents and even de-frizzes the hair. In order to nurture the hair it's filled with babassu oil too. You can get it online here. You can use these two new products alone or together—the possibilities for a perfect blow dry are endless! I like to use mine with my ghd paddle brush, I'm a sucker for paddle brushes and really think a good sturdy paddle brush is essential when it comes to getting a good blow dry. 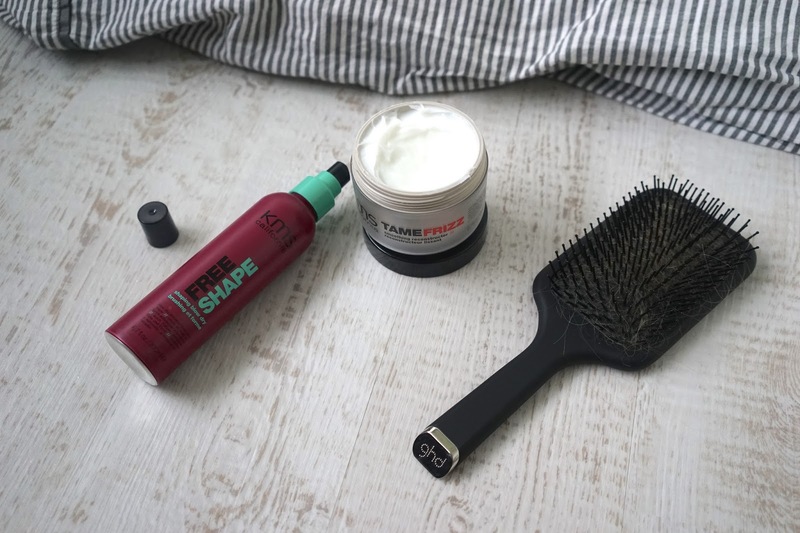 So there you have it, three simple items that will give you a smoother, longer lasting blow dry whilst protecting your hair at the same time all from the comfort of your own home. What are your favourite tools for blow drying? Do you like the sound of these products? Have you used any before?